In the first quarter of 2018, we added a slew of new features designed to make our core financial planning solution better for financial advisors. From onboarding clients to building plans and presenting sales-ready reports, we’re focused on helping you grow your business. The Advizr product team has been busy! Have you ever wanted to model different retirement ages to share with your client? How about reviewing the impact of inflation or market drops next to your client’s base case? We heard your feedback and Advizr is now thrilled to allow advisors to create as many planning scenarios as necessary for modeling different use cases. Save them, name them, and pull them up at your next client meeting. Our retirement workflow supports a new input method allowing you to quickly and intuitively compose a retirement plan in as little as five minutes. That’s right–5 minutes!!! Adding goals, insurance policies, and liabilities is easier and faster, paving the way for you to deliver more comprehensive recommendations in less time. Did we mention it only takes 5 minutes! 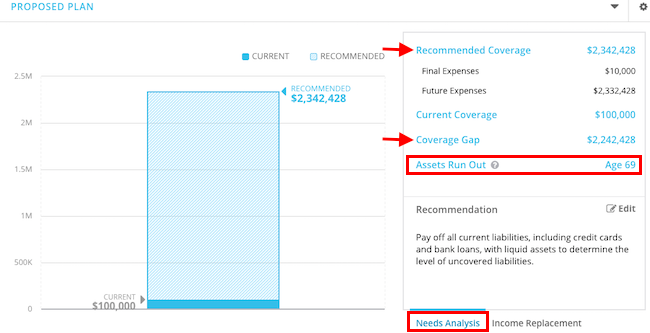 Advizr now provides two options to assess life insurance needs based on either cash flow or replacement of income. The output for both was improved to identify the “Recommended Coverage” amount and the age when “Assets Run Out” for the surviving spouse in the current scenario. Staying on the theme of Life Insurance, Advizr continues to refine Life Insurance Recommendations, enabling you to have scenario planning conversations while discussing your clients’ coverage needs. Additionally, we’ve added applicable life insurance payouts to survivors directly into the plan. This will better inform your clients on the impact their coverage has on plan and goal completion. This option adds a new dimension to client engagement, with clients now able to directly view and interact with their Goals and Plans. Clients can make adjustments and consider different what-if scenarios — exercising more autonomy to keep themselves on track before your next check-in. Advizr makes illustrating retirement goals and recommendations clearer, easier and more collaborative. With a quick glance, your clients will see whether their assets are on pace to provide enough coverage for the rest of their lives. 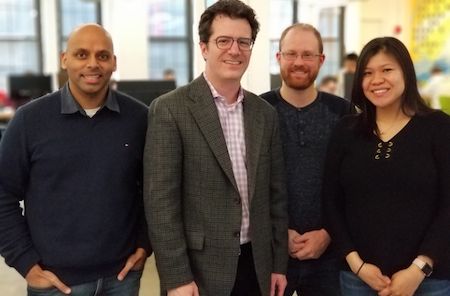 Finally, Advizr continued to hire exceptional talent to expand the organization’s capabilities and deliver innovative solutions that fuel success in financial plan delivery and profitability. Read about our new hires in our recent press release. To receive regular updates or learn more from Team Advizr, subscribe to our blog to the right. If it’s been a while or you’re new to the platform, we’d like to show you our vision. Book a Demo with us today.